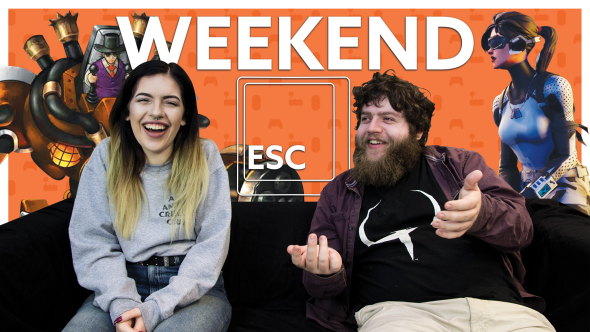 Hello and welcome to the Weekend Esc – the PC gaming show that regulars to the PCGamesN YouTube channel already know and project onto their ceilings every night while they fall asleep. If that’s not you then here’s the gist: a roundup of the week in PC gaming, hosted by good friends and grudging colleagues Alice and Ben. Related: the best zombie games on PC. This week they are following the money – from Brian Fargo’s cryptocurrency competitor to Steam, to Fortnite’s 45 million players, and the runaway success of They Are Billions. To find out why those particular games are doing so well, read all about Fortnite’s escape from development hell and the ancient RTS problem They Are Billions fixes. And as Balice (Alen?) mention in the show, we’re giving something away! Specifically the calming, zen-like InnerSpace, a flying game that sees you cocooned within inside-out planets – which, once you hear it, is obviously the way weekends are meant to be spent. Please do like and subscribe for more Weekend Escs and video escapades. That’s how they say ‘I love you’ in YouTube culture.